The prestigious annual Irish Internet Association Awards shortlists were announced this week and Magnet are delighted to be shortlisted for two awards: Best Cloud Services for SMEs and Best Mobile App – indispensable to its users (Magnet Voice). This is the 17th year the awards are taking place and the calibre of candidates shortlisted again this year is extremely high. The Best Mobile App award is open for public votes until 5pm on Friday August 21st. Click here to vote. Magnet Voice is mobile app which all Magnet Voice customers can avail of. It allows users to take and make calls from their landline number on their mobile phone. Our app allows our customers ensure their customers that they are always contactable anywhere, this improves their credibility. To the caller or receiver it seems as though they are always at their desk… even if they are abroad at a tradeshow, on the road making an installation for a customer or at home looking after the kids. Customers only need to have one number to get in contact but the business can have multiple numbers; our customer doesn’t have to worry about being at their desk in Cork to get calls from their Cork office. This service is brilliant for professionals based in multiple sites because local contacts prefer to dial a local number, a local number makes them more inclined to pick up the phone to dial. 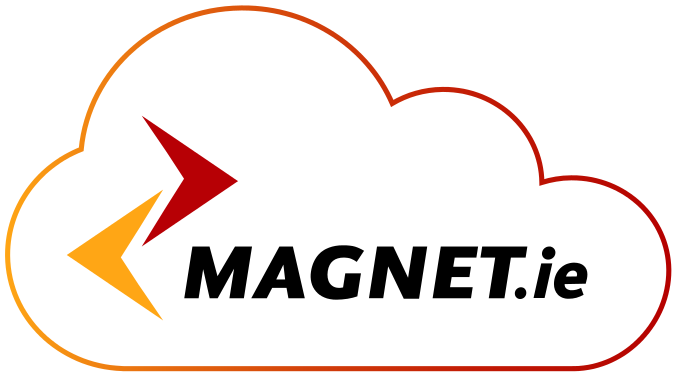 Magnet have also been shortlisted for providing the best cloud services to SMEs in Ireland, a nomination we are very proud of since our mission is to take Irish business to the cloud. The award will be given based on the need fulfilled by cloud service and how the fact that the service is cloud based has helped businesses meet their goals. It assesses technical best practice and how the user design came about. Finally it looks at how the entry has addressed issues and challenges facing SMEs and how it has supported cloud adoption in SMEs throughout Ireland.